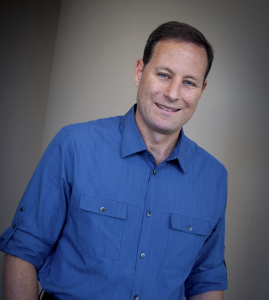 Dr. Gottlieb earned a bachelor’s degree in Kinesiology from UCLA in 1985. He then attended Los Angeles College of Chiropractic where he earned his Doctorate of Chirorpractic degree in 1989. He started his first chiropractic practice in 1991. Over the past 25 years Dr. Gottlieb has operated several highly successful chiropractic practices in the Sacramento area. He started advanced training with the National Upper Cervical Chiropractic Association (NUCCA) in 1993. He decided to dedicate his life to Upper Cervical Chiropractic when his own health problems were helped by an Upper Cervical adjustment. Severe back pain, fatigue, and allergies threatened to end his career. After receiving Upper Cervical Adjustments, his pain, fatigue, and allergies disappeared and his health was restored. Since then, he has helped numerous residents all over the Northern California area restore and preserve pain free optimal health through Upper Cervical Chiropractic. Dr. Gottlieb’s outstanding reputation for exceptional results has brought many people to his office from other states as well. In the past Dr. Gottlieb was a staff writer for Sacramento’s Health and Fitness magazine for over 12 years. More recently Dr. Gottlieb is one of the founding members of the most progressive Upper Cervical technique called Quantum Spinal Mechanics or QSM3. QSM3 builds on the foundational principles of the other Upper Cervical techniques by taking the work a step further and looking more closely at the full spine and pelvis. Dr. Gottlieb has traveled the country educating other chiropractors in these new concepts.